This popular park is great for running and strolling. Nestled in the nexus between the neighborhoods of Green Lake, Fremont, and Phinney Ridge, Woodland Park is an ideal local community space. Woodland Park has just about everything that you could possibly ask for from a neighborhood park – as well as unique features (most importantly, the zoo) that will drawn in visitors from further afield. Recreational possibilities abound: it has everything from open sports fields, picnic areas equipped with barbecues, a playground, a large dog park, a serene rose garden, a BMX bike course, a skate park, and forested trails to go on a walk or run. Aurora Avenue divides the park into two distinct areas. The western half contains the rose garden, which reaches peak bloom in May through August. It is proudly pesticide-free, with several signs with suggestions of how to care for an all-natural garden of your own. There are also scattered memorials in the war garden across the street, including two huge, decaying guns from the U.S.S. Concord. 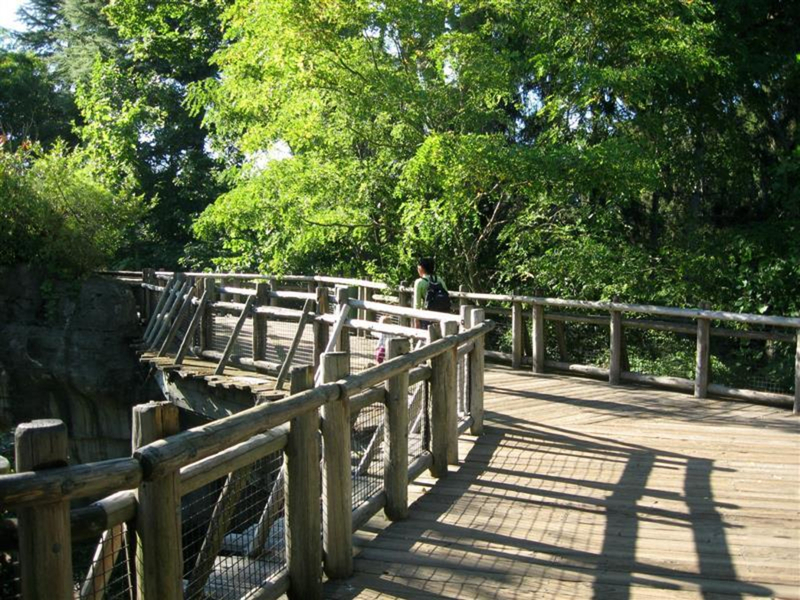 But the bulk of western Woodland Park is also its most famous feature: the Woodland Park Zoo. Recognized as one of the best in the world, the zoo is home to 1,100 animals from over 300 different species, from insects to elephants. Tickets are $12.75 for adults, $10.75 for seniors, $8.75 for children ages three to 12, and free for infants and toddlers. Woodland Park’s other half has forested trails, picnic areas on grassy knolls, and the off-leash dog park. There are also several sports fields and courts on the park’s eastern edge – including a baseball field, a softball field, two soccer fields, a skate park, tennis courts, and lawn bowling. And, if you’re an animal nerd, Woodland Park’s wildlife isn’t just constrained to the zoo: you’re very likely to see feral rabbits, and the occasional western coyote, barred owl, or released red eared slider turtle. If you run the trails through the western side of Woodland Park to its north end, they will bring you right to the 2.8-mile paved path that follows along the banks of beautiful Green Lake. Link loops around each park together, and you will be in for a great 3.5 to 5 mile run. People who live in Green Lake, Fremont, or Phinney Ridge who want a place to get outside and active everyday. Woodland Park is at 1000 N 50th St and open from 4 a.m. to 11:30 p.m., the rose garden is open 7 a.m. to dusk, and the zoo is open everyday except for December 25 from 9:30 a.m. to 5 p.m. (last entrance at 4 p.m.). There are a number of parking lots, including one near each of the seven picnic sites. Parking in the zoo’s lot is $5.25.